April 2, 2013 by Anthony Palombo, D.C.
I’ve been reading Lao Russell’s inspiring and thought-provoking book GOD WILL WORK WITH YOU BUT NOT FOR YOU and I believe my perspective on life has been deeply changed. Whereas before I had a rather limited sense of my life on Earth as a one-time journey to enjoy and make the best of for spiritual growth, I gradually began to be aware of a much larger context, taking in an infinite number of incarnations, even vaguely remembering them and feeling the current of a continuum flow of energy and eternal Presence. 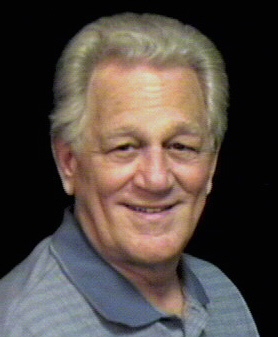 Being in my seventies, my current sojourn is winding down. I actually feel my body looking toward that “longer rest cycle” Lao speaks of that we call death. Life’s rhythm is rest-action-rest-action. I can actually say that I truly see death as simply a rest period between incarnations. My life suddenly has taken on meaning well beyond my career as husband, parent, physician, musician, author and blogger. I feel ageless with a purpose of simply revealing the beauty of my Being in this world. Been here done this many time, and will return to do it again and again until I get it right. Lao and her life-partner Walter got it right this last sojourn here. They shared a co-creative partnership. My take is that they were both somewhat ascended masters who enjoyed living in the “many mansions” of their Father’s House. Neither one of them were of this world, yet they both enjoyed a high degree of success in worldly terms. They both knew what it meant to work with God in whatever came to them as opportunities to serve and co-create, notwithstanding their brief grade-level formal education. Both quit school in their youth to pursue their callings to greatness. It’s not uncommon for geniuses to find formal schooling a boring distraction from and impediment to their real education — something Mark Twain cautioned against in that famous quote: “Don’t let your schooling interfere with your education.” Lao and Russell’s education seems to have come directly from the Universe, from God. I get the distinct feeling reading their books that both had incarnated with a shared mission and purpose to get on with early in their years, as though they didn’t wish to leave anything unfinished that would require a return to these planes. I stand in awe at their many and varied accomplishments — in art, sculpture, physics, elemental chemistry, philosophy, teaching and writing, to name the chief areas in which they excelled. I love their simple “living philosophy” which included an engaged life-style. They didn’t sit around waiting for life to come to them. They rather met life on the road, which often appeared only after they started walking. You don’t ask God to do something for you. You ask God to do everything you set out to do with you. When you ask God for anything you desire, you don’t wait for it to come to you. You prepare yourself to pursue and embrace it with a “strong arm” at the opportune moment. They walked their talk and talked their walk with words imbued with their spirit and authenticity. What a pleasure it is to be with such authors the length of a well-written book. I’ll share a bit of their legacy of wisdom and insight. Out of a seed unfolds a tree whose life experiences are recorded and folded back into its seed to give birth to other trees so that God the Creator can live another day among His Creation. If it is so with the trees, how much more so is it with Human Beings who wear the crown of Creation and share the Mind of God as co-creators. 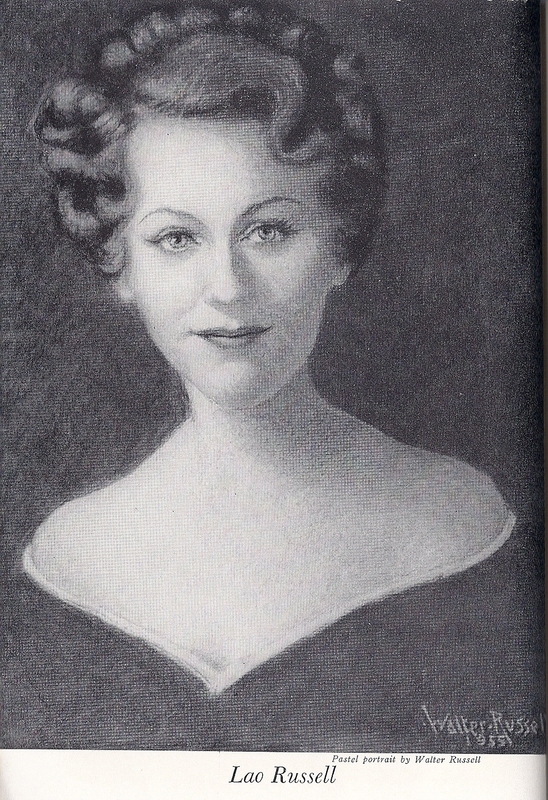 “The Walter Russell Foundation was formed for the purpose of giving to the world-family The Message of the Divine Iliad, by Walter Russell, which is a scientific explanation of God’s ways and processes in the construction of His universe, and the Message of a Living Philosophy, by Lao Russell, for illumining man’s Cosmic way of Life in his long journey of life from the dark to God’s Light. “We fully realize that the human race is in its very early stages and can advance only as new knowledge comes into the world to make one know what life is for, and why God put man here to live it. We fully realize that our present-day world disunity is entirely due to our primacy, and the attendant ignorance of the basic essentials of knowing how to live life. We are still in the stage where our greatest values are money and transient physical possessions, instead of the enduring spiritual values of mutual service of man to man. “This early stage of man’s unfolding is the cause of wars which men institute to acquire the physical possessions of others for themselves. That stage of greed for power over others, and the physical possessions of others, must be entirely eliminated from human consciousness before a happy race of humanity is possible. To exalt mankind above this present low physical level to the higher spiritual level, which all men will eventually reach, The Walter Russell Foundation has instituted a course of study which gives the knowledge required by man to tell him of himself, his purpose on earth, the laws which govern his own Being, and those concerning his relationship to other men and to Nature. “Wherever it is reaching, its students are becoming transformed by the knowledge given them of a Nature which they have never before been able to obtain. Man must first know about man, himself. That is the first essential of life. A way of life through a living philosophy based upon a knowledge of the laws of Nature, which govern man, is of the greatest import. “As students have become transformed through the new knowledge they have gained, others have become inspired to do likewise, and that is the way this course of study has spread around the world. The demand is now growing so fast in other non-English-speaking countries for this new knowledge, that we are now preparing to translate our Home Study Course and books into all other languages. “Ill health and the misfortunes of life are the result of not knowing how to obey Natural law. When man learns how to obey Natural law he can then command his life. “We teach the power of Mind to command one’s own body and keep its normal balance of health. This enables people to heal themselves through Cosmic knowledge. We are not consultants in health matters; nor do we practice Mind healing in any way or manner. It is interesting to know, however, how many of our students are healing themselves of various illnesses because of this basic new knowledge of Nature’s ways and processes. 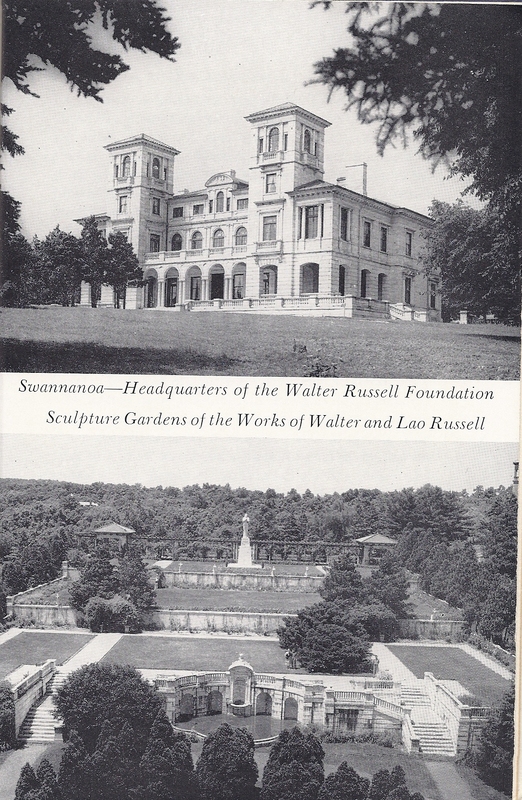 “This Foundation was chartered as a non-profit educational institution in 1948 under the laws of Virginia, by Lao Russell for two purposes: 1, to see her famous husband’s works of art gathered together as a Shrine of Beauty to perpetuate for posterity and, 2, to unite mankind into one world-family upon the basis of brotherly love in human interchange, instead of brotherly conquest of man by man, which has been the basis of world human relations for thousands of years. Visit my HealingTones.org blog for inspiring and educational articles about how our universe works. Current theme is the “Age of Transmutation.” Walter Russell demonstrates how to transmute hydrogen out of the air we breathe for eternal free energy.